Sound materials and reliable equipment are indispensable for achieving successful direct and indirect restorations. Here is something that many are not aware of, though: the precision with which the light-curing process is performed has also a substantial effect on the durability of composite restorations. 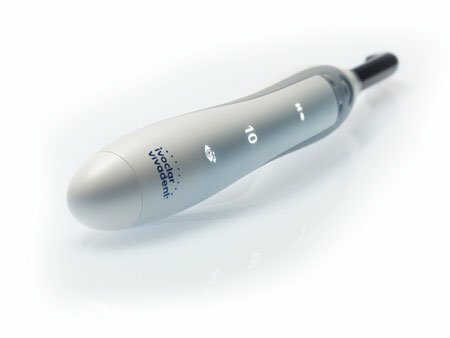 This is where the Bluephase G4 – the latest curing light from Ivoclar Vivadent – comes in. The fourth generation of the Bluephase family does not only look stylish but it also offers a new and uniquely user-friendly feature: Polyvision technology. Polyvision technology enables the Bluephase G4 to detect if the handpiece is moved during the exposure process and if the restoration can no longer be cured reliably. If this happens, the light emits a vibration alert to inform the operator of the error and, if necessary, automatically extends the exposure time by 10 per cent. If the handpiece moves too much – for example the light guide slips out of the oral cavity – the light automatically switches off so that the curing procedure can be repeated correctly. The advantages for the operator are: easy handling, discreet assistance, reliable curing results and satisfied patients.